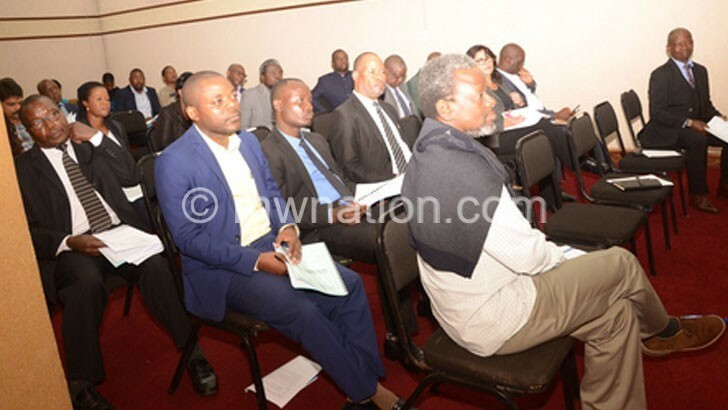 The Malawi Confederation of Chambers of Commerce and Industry (MCCCI) says despite registering economic gains, industries are yet to start enjoying gains made. Speaking on the sidelines of the 2019 MCCCI Annual General Meeting on Friday in Blantyre, MCCCI president Prince Kapondamgaga said the cost of finance has remained high despite interest rates coming down and most consumers had limited purchasing power which negatively affected businesse performance in the first quarter of the year (January to March). He, thus, said while monetary policies are key to economic gains, interest rates and inflation rates decline on their own which is not enough to make a triple effect to businesses, a situation needing supportive policies if the gains are to be fully utilised. buying power will affect purchases from industries. “The majority had no money because most of the farmers did not find markets for their crops like in the case of pigeon peas and maize. When you have such a situation, it means the whole economy is affected because the money is in a few elite. “The cost of finance is being structurally high despite monetary authorities putting in place polices that interest rates should go down. We are of the view that the financial sector is not responsive enough to the monetary authority policy dictates. He said for monetary policies to translate, there is need for authorities to put in place good agricultural policies. “This year could be a good year despite the floods as Ministry of Agriculture, Irrigation and Water Development figures show that farmers will harvest quite a lot, but if the marketing related policies are not addressed like the export bans, if there are no markets, then the monetary policies will as well take time to translate,” Kapondamgaga said. In a bold move some market analysts said as was expected, the Reserve Bank of Malawi (RBM) in January slashed the policy rate—a key driver of interest rates on loans—by 1.5 percentage points from 16 to 14.5. RBM also cut by 33 percent the Liquidity Reserve Ratio (LRR)—a fraction of bank deposits that commercial banks are required to keep at the central bank. The decisions which RBM Governor Dalitso Kabambe announced at a news conference in Blantyre pushed the policy rate from 16 percent to 14.5 percent and eased the LRR from 7.5 percent to five percent. RBM statistics indicate that on year-on-year basis, credit to the private sector grew by 13.6 percent, compared to annual rates of 11.8 percent and minus 3.9 percent in the preceding month and February 2018, respectively. On a month-on month basis, despite the reduction in the commercial banks’ lending rates, private sector credit contracted for the third consecutive month in February 2019. “This reflected seasonal economic slowdown experienced in the first quarter of the year and continued cautious approach by commercial banks in granting credit to the private sector,” reads the February 2019 RBM Monthly Economic Review.